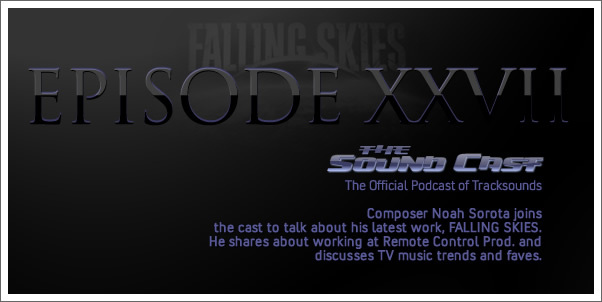 Composer Noah Sorota joins the cast to talk about his latest work, FALLING SKIES. He shares about working at Remote Control Prod. and discusses TV music trends and faves.